'Everyone's touched! Don't be taken in by appearances here. Believe me, the old world has gone, but its shell remains in place. One day soon, there will come a breath of wind, a new messiah, the shell will crumple, and the kids will run, screaming, barefoot in the head, through lush new imaginary meadows. What a time to be young!' Barefoot in the Head is a tale of a future world recovering from a holocaust of hallucinogenic chemical weapons. For the victims, reality is a fluid mixture of the real, the imaginary and the nightmarish, the past, present and future. Colin Charteris, the hero and anti-hero on this continually disintegrating stage, has not himself survived the cataclysm unscathed, and his gradual descent into fantastic and paranoid visions will have drastic consequences for civilization. 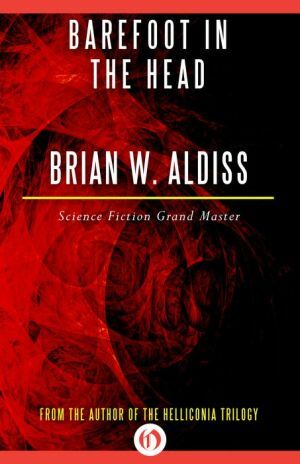 Brian Aldiss, in a psychedelic tour de force of inventive, playful narrative, owing as much to the methods of James Joyce and the experimentalism of William S. Burroughs as to H. G. Wells, goes light-years beyond the conventions of the genre to tell his story.